Manchester United manager Ole Gunnar Solskjaer believes Barcelona will win the Champions League this season. 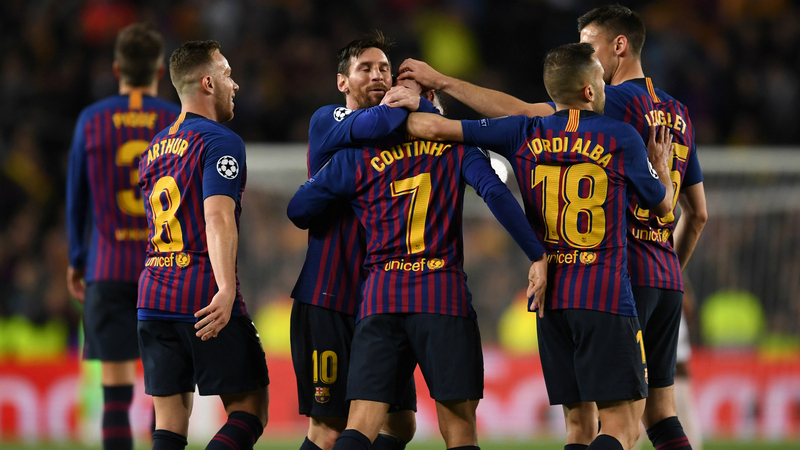 Solskjaer's United were bundled out by Barca in the quarter-finals after Lionel Messi's brace secured a 3-0 second-leg victory on Tuesday. Philippe Coutinho's long-range stunner following the interval sealed a 4-0 aggregate success and kept Barca's treble hopes alive. Asked about Barca's Champions League chances ahead of a semi-final against either Liverpool or Porto, Solskjaer told reporters: "I think Barcelona will win yeah. "With the quality they have in the front three. They've got [Ousmane] Dembele and Malcom, players there to put on. "I wouldn't bet against them, even though I don't bet. But for me they will be favourites to win the whole tournament." With five matches remaining, United are sixth and two points adrift of fourth-placed Arsenal in the race for Champions League qualification. United will travel to Everton on Sunday before hosting champions Manchester City (April 24) and Chelsea (April 28) in back-to-back blockbusters at Old Trafford.